Featuring Charlotta, Percival, Lancelot, and Metera. Update 03/07/17 at 5:00 a.m.: Cygames has provided Gematsu with direct-feed versions of the six new screenshots shared during the March 5 live stream. View them via the gallery link below. Original 03/05/17 at 11:40 a.m.: Cygames shared six new screenshots of its Platinum Games-developed action RPG Granblue Fantasy Project Re: Link during the Granblue Fantasy third anniversary live stream special on Niconico today. 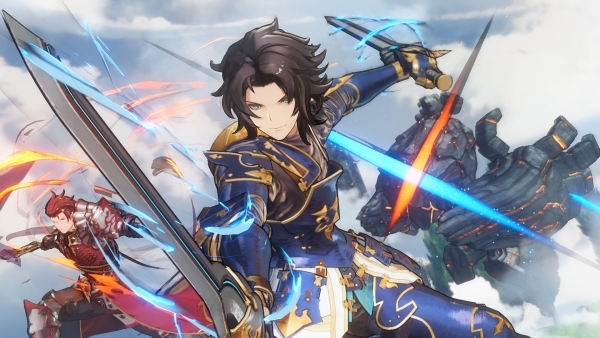 The images show characters Charlotta, Percival, Lancelot, and Metera. Granblue Fantasy Project Re: Link is due out for PlayStation 4 in Japan in 2018.